Born in Yorkshire in 1971, Frankie Wainman Jnr was exposed to F1s at a very early age, attending his first meeting at just ten days old. Son of legendary Frankie Snr, who raced for over 30 years himself. 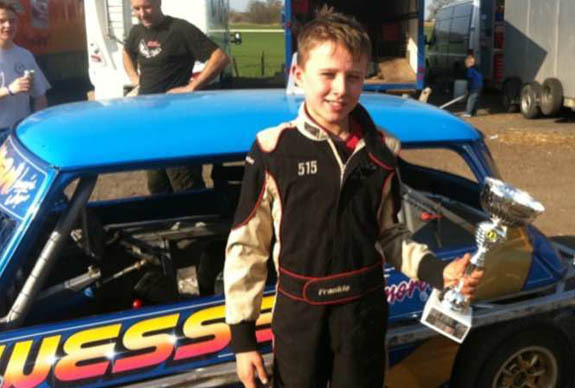 Aged 10, he started racing Mini-Stox and made a name for himself. He debuted in F1 with a self built car in October 1987. One week after his debut Frankie won his first heat at Crewe, and two weeks later his first final at Northampton. 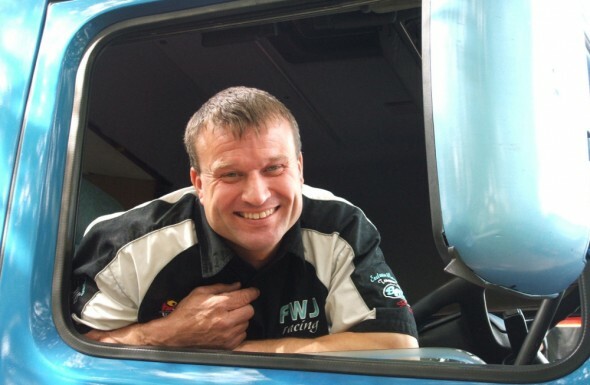 25 years later and with over 250 finals under his belt, Frankie’s passion for the sport is still strong, and with younger brother Danny (212) in F1 and children Phoebe and Frankie JJ racing Mini-Stox, Frankie is determined to keep the Wainman name at the forefront of stock car racing. Frankie knew from an early age that building stock cars was what he wanted to do, picking up vital skills from his father. Frankie started a car building business that still keeps him working day and night today. Also born into the world of Stock Cars is Daniel Wainman, youngest son of Frankie Senior and brother of Frankie 515, barely missing a meeting in the last 19 years. By the time Danny was 5 he could recite every drivers name, number and roof colour. His mother Alison only made the mistake of leaving her keys in the ignition once and aged 5 Daniel put the family car into a wall, so his debut age 9 in Ministox couldn’t come quick enough! Danny’s first full Mini season started in 2002, and during his Ministox career he won all major championships going – Gold 2005, Silver 2006 and the British in 2007. After Danny retired from Minis there was only one way to go ‘The Big League’ F1s. Daniel’s first F1 meeting was a special one in itself being his father’s testimonial in November 2007. During this very wet meeting Danny thrilled the crown by giving his Dad and brother a run for their money and proving that he had what it takes to be a F1 driver. His first season started in 2008, and at the end of this year aged just 16 Daniel won Novice of the Year, The Sam Lund Memorial & The World of Shale. 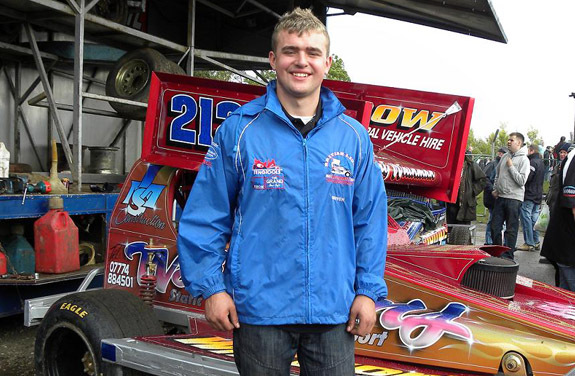 He took his first final win at Sheffield and has held his Red Roof ever since, one of the youngest drivers to do so. Despite driving old cars confidently around the farm from age 9, Phoebe was adamant she would never race! Ever since she turned 10, Phoebe’s Mum and Dad tried to persuade her to give it a go, even taking her to Buxton. She drove around happily all day and looked good but when asked on the way home, she gave her usual blunt answer “I don’t want to race”. It was only after attending a Mini awards night that Phoebe realised that there were a lot of “Girl Racers” and surprised both her parents on the journey home by announcing that she might have a go. Four weeks later, Phoebe was bombing around Skegness and has never looked back. After her first season Phoebe was awarded with the David Price award, the Most improved Driver award and even received a trophy for being the only driver in recorded Ministox history to roll over on separate occasions twice in one race! Six wins later and reaching Red top, Phoebe has proved to be a very competent driver. 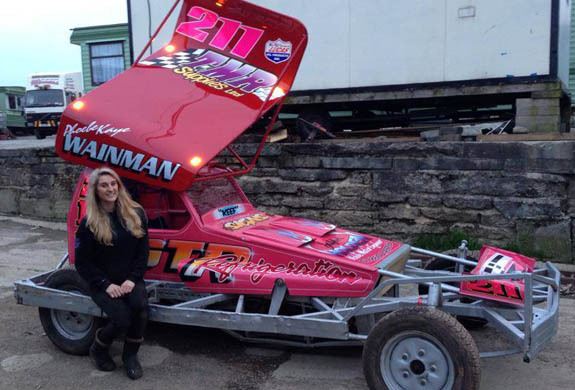 In 2012, Phoebe moved up from Ministox, to BriSCA V8 Hot Stox. Over the course of the season she proved to be very competent and quickly took to the more powerful and demanding series, managing to move up to Red Grade for a while during the middle part of the season. From the start of the 2014 season, Phoebe hit the ground running, and by the end of the first grading period had claimed Superstar status. Frankie Junior Junior knew he wanted to be a Racing Driver / Car Builder before he could even walk. Spending most of his time in and around the garage, aged 7 Frankie JJ built his first small version of a stock car, doing all his own welding and grinding. Frankie went on to build a few more until he had perfected it. Aged five, his Dad built him a scaled down version of his F1, and Frankie JJ drove his lawn mower powered car around King’s Lynn without batting an eyelid! Five years later, Frankie JJ made his Debut in Ministox at Scunthorpe, picking up his first trophy for best novice. Frankie has taken quite a few hard knocks in his short career which has set him back once or twice, but he’s a tidy driver and we’re sure that with 4 full seasons ahead of him Frankie will have a successful ministox future!